Some people are blessed with very good digestion system, but not all of them. Are you one among them? Many of us complain about heartburn, bloating, or any digestion problem after having a meal. The reason could be wrong food combinations. If you think you are really creative, then don’t take the risk in combining the foods. A little secret in right food combinations can lead to a healthy life. Some skillful strategies can lead to optimum digestion and reverse also. Bad food combinations can lead to many digestion issues like bloating, gas, constipation, diarrhea, and many other problems. and milk is the perfect combination to cool down on a hot summer day. Who doesn't love to have a banana milkshake as a refreshing mid-meal beverage? 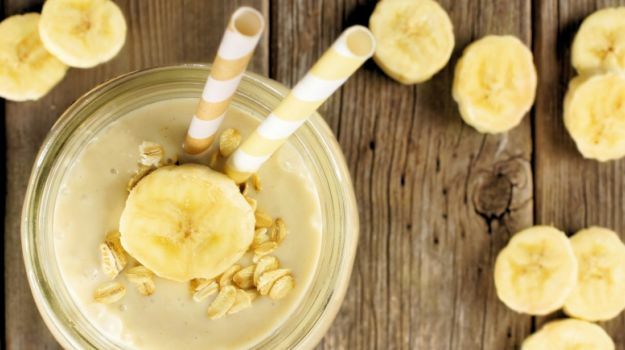 While it tastes amazing, banana and milk might not go well when mixed together. Yes, you read that right. While the combination of banana and milk has long been seen in chilled milkshakes, it may pose various health risks. We spoke to many experts and here's what you should know about consuming this combination together. Whether the famous combination of milk and banana is good or bad for health has always been in debate. While many suggest that both make an excellent combination, some recommend against consuming them together. When we asked expert Dietitian and Psychologist from Care For Life, Harish Kumar, this is what he had to say, "We do not recommend this combination as it may prove to be very harmful to the body. Even if you want to consume them, you can first take milk and after 20 minutes, eat a banana. You must also avoid banana milkshake as it hinders the digestion process and disturbs your sleeping pattern. On the contrary, expert Nutritionist and Macrobiotic Health Coach, Shilpa Arora says, "Banana and milk is a great option for body builders and people who wish to gain weight and need energy for high-intensity work. However, it is not recommended for people with allergies like asthma as it creates mucus which leads to breathing disorders."